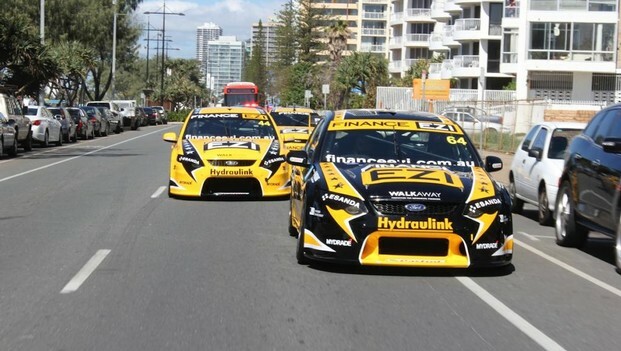 It isunusual to see V8 Supercars on the streets of Surfers Paradise outside October.But that’s what greeted holiday makers on their Wednesday morning stroll on theglitter strip today as Finance EZI’s fleet of race cars made its way fromcentral Surfers to a gala lunch at the Marriott Resort and Spa. FinanceEZI has established arguably the most comprehensive junior development programin Australian motorsport and its contingent of black and yellow V8 Supercarsleft Marriott guests wondering who was checking into the world-renowned hotelas the 635-horsepower V8 Supercars roared to a standstill at the hotel’s valetparking area. Barelyallowed to hold a provisional license on the roads they travelled through,Finance EZI’s pair of 17-year old V8 superstars from the Dunlop V8 SupercarDevelopment Series, Josh Hunter and Andre Heimgartner, piloted their race carson a very different street circuit to the one they raced just one month ago inAdelaide. The pairwas preparing for the next round of the Dunlop V8 Supercar Series at BarbagalloRaceway in Perth, from May 3-5. Thelineup also included Suzuki Swift Racing Series newcomer Ben Grice, son of1986 and 1990 Bathurst 1000 Champion, Allan Grice; Aussie Racing Car driver andMultiple State Karting Champion Damian Ward; and was rounded offwith Pickering, who iscontesting the Kumho V8 Touring Car Series for retired V8 Supercars. “We’re aproudly Gold Coast based team and today’s event is about unveiling the fullcompliment of our outfit and let the sponsors, media and people that I dobusiness with on a daily basis see who we are supporting and get to meet themin an intimate environment away from the racetrack,” Pickering said. “FinanceEZI Racing positions itself as developing the next generation of motor racingand right across the board, all of our drivers (except this one!) are under 25and are all so enthusiastic about their motor racing. 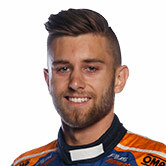 “We havesome wonderful motorsport heritage in our team – from Josh who’s grandfather,Garry Rush is the greatest Sprintcar driver Australia has ever produced; toBen, whose father’s exploits in racing, politics and business speak forthemselves; and Andre and Damian, both of whom are solidly working to carve outtheir own motor racing legacy. The 80guests on hand at the lunch enjoyed food and wine from the Marriott Resort andSpa, Surfers Paradise and the drivers were introduced to the gathering via alively Q&A session.